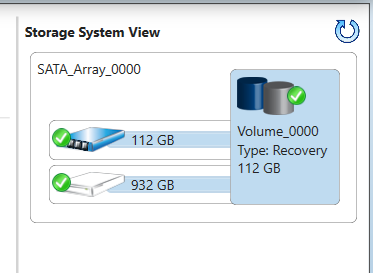 I accidentally made my HDD protective data or something, and it turned into a recovery drive. Now I can't view the HDD from My Computer. I tried using the RAID tool from other threads to remove the thread, but it shows me "Intel (R) RST CLI version 15.2 cannot be used with version 16.0 of the driver". I cant access the RAID from bios as well. Verify that your BIOS is in UEFI mode, if it is, when you delete the array, the CTRL-I will no longer be available. Then you should go back to legacy mode with RAID as SATA device and press f10 to save and exit! make sure SATA is still RAID and press f10 to save when exiting and reinstall windows! Sometimes CTRL-I doesn't work under Legacy too. The only way to fix it is to do a "clean all" from diskpart, target is the HDD. Hello. Im facing the same issue as well. May i ask what is BIOS and UEFI mode? i am using Acer Nitro 5 AN515-52-732M with 128G SSD and 1TB HDD. 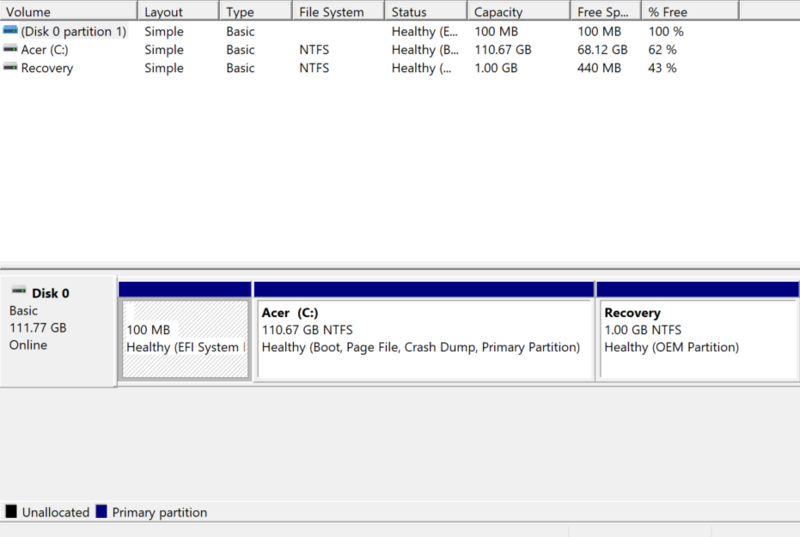 However, after using the Intel Rapid Storage Technology, i lost my HDD and it became a Recover Drive (?). How can i recover my drive? I saw your message @JovenChng! Woah okay, thank you so much! Let us know if you could solve your problem @JovenChng! i have yet to try it, but may i ask will i lose all my pre installed software for Nitro 5?